Heavy rain in China has killed at least 87 people and forced thousands from their homes, state media reported on Saturday. 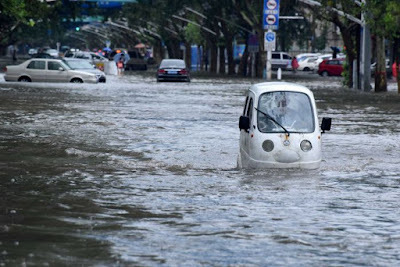 Seventy-two people have been killed and 78 are missing in the northern province of Hebei after rain triggered floods and landslides, the Xinhua news agency reported, citing the civil affairs department. Nearly 50,000 homes have collapsed, it said. In the central province of Henan, 15 people were killed and eight were missing after thunderstorms and strong winds forced 72,000 people from their homes and damaged 18,000 houses. Altogether about 8.6 million people have been affected by the flooding, according to state media and local government reports. Large parts of China have been inundated with rain this summer, killing more than 200 people. More than 1.5 million hectares of crops have been damaged, leading to direct economic losses of more than 20 billion yuan ($3 billion), the government has said. The central bank on Friday issued a statement saying it would provide financial support for flooded areas.